Hearing of Israel’s complete destruction of Ai, the peoples West of the Jordan decide to come together and take the offensive against Israel. Yet, when the people of Gibeon heard about Joshua’s exploits of Jericho and Ai, they decided to perform a trick on the Israelites in hopes their lives would be spared. The Gibeonites dressed as if they had been on a long journey. They packed moldy food and old wineskins. They approached Joshua at camp and asked for a treaty. Joshua attempted to discern by himself the truth, but in the end, he agreed to the treaty because he did not inquire of the Lord. 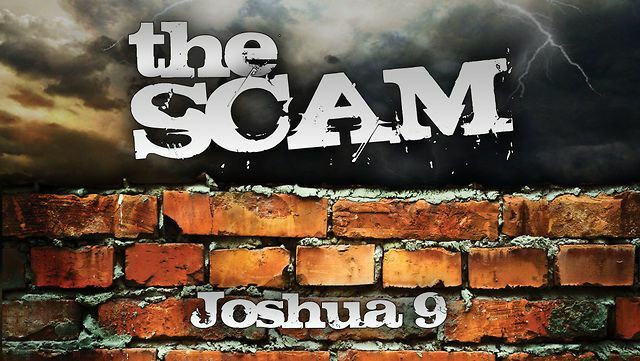 Upon learning of the deception, Joshua is forced to abide by his sworn word by the Lord, but he deemed the Gibeonites be woodcutters and water carriers their entire lives. 12) The surrounding nations joined forces against the invading Israelites. The Gibeonites, knowing the Israelites would totally destroy them (see Deuteronomy 7:2) if conquered, decided to resort to a ruse: their idea was to trick the Israelites into making a peace treaty with them so they would survive. 13) Joshua should have inquired of the Lord and because he swore an oath by the Lord, they had to abide by their word. God had warned the Israelites not to make treaties with the people in Exodus 34:12, 15 because their pagan ways will corrupt the Israelites. Numbers 30:2 states clearly that when you make a vow to the Lord or take an oath to obligate yourself by the pledge, you cannot break your word and must abide by the conditions you swore. I love how Joshua tells the good and the bad. Good means the Israelites obey the Lord and they win. Bad means they disobey the Lord and love. However, we also see that God likes to be consulted and lead us down the right path. When He’s not consulted, bad things happen and His people are taken advantage of. How often have you been in a similar situation where you didn’t ask God and someone took advantage of you? The Israelites were allowed to make treaties with foreign nations, just not with the Canaanites. 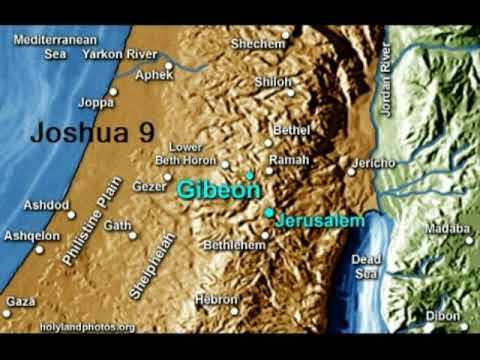 How do the Gibeonites Deceive the Israelites? What did the Israelites do wrong? They did not inquire of the Lord. Consequently, they had to let the Gibeonites live and not take their land. Now, the Gibeonites were relegated to slavery; however, they often caused trouble for the people of Israel. This shows how much trouble you can gain when you rely on your own instincts instead of on God’s. It is quite refreshing to see the Israelites didn’t even doubt about keeping their word. Later, King Saul broke this vow to the Gibeonites and his sin brought famine upon Israel in the days of David (2 Samuel 21:1-9). What do We Learn from the Gibeonites? The Gibeonites value their life over their work. The alternative was death. Which would you choose? What do the Gibeonites and Rahab have in Common? The Gibeonites and Rahab (Joshua 2) found salvation in God. Both Rahab and the Gibeonites abandoned their former lives to be counted among God’s people. Gibeon faced a backlash from its neighbors (Joshua 10:4,) and were attacked. Both Rahab and the Gibeonites found salvation through God and had a rich history. What happened to the Gibeonites? The Gibeonites became servants at the tabernacle just as Joshua had commanded. Gibeonites were among those who rebuilt the walls of Jerusalem with Nehemiah (Nehemiah 3:7 and 7:25). Prophets such as Hananiah the son of Azur came from Gibeon (Jeremiah 28:1). God does great things from repentant sinners. God desperately wants us to seek Him always in everything. We keep our word no matter the consequences. We are ever vigilant for Satan’s tricks. Thank you for taking the time to add all the bells and whistles to the notes for BSF!! !